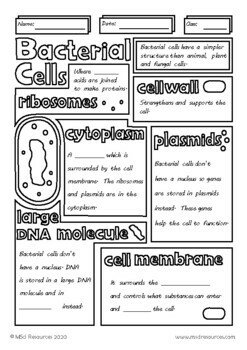 Biology Notes Bundle for Middle and High School StudentsThis bundle contains all of my middle and high school biology notes as of 20/09/18No prep resources- just print & go! 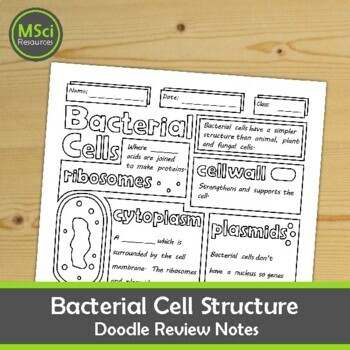 These notes will help your students to review the basic structure of a bacterial cell. Students color and complete and then add to their own biology notebook.